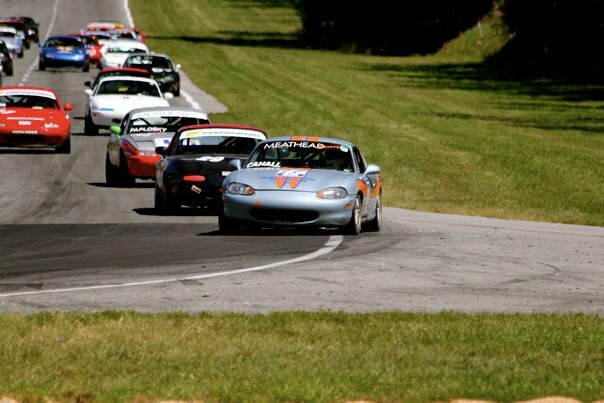 The Mid-Atlantic Road Racing Series (MARRS) held its "Labor Day Double" ninth and tenth regional SCCA Club Racing events of the year on Saturday September 4th through Monday September 6th at Summit Point Raceway in West Virginia. Ted Cahall and his brother Larry started the week a bit early by attending a private track day on Thursday and then the standard practice session on Friday. The practice paid off as both Ted and Larry set personal best lap times during the weekend with Larry dropping over 4 seconds to a 1:31.9. Go Larry! In MARRS 9 on Saturday, Ted ran a 1:28.411 qualifying lap, his fastest ever, (click to see video) to grid 7th in the race. Later on Saturday, Ted ran a good race and finished 9th - with a 1:28.535 fastest lap (see photos of Saturday's action). This was Ted's first MARRS top ten finish! Sunday was not quite as kind. He qualified 14th in the morning. In the afternoon qualifying race, he spun in turn 1 (click to see video) on brand new tires / brakes / rotors (and 47 lbs of pressure in the left rear tire) and finished 27th (see photos of Sunday's action). 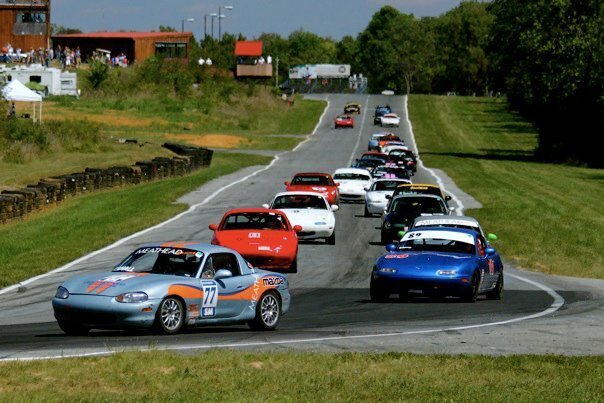 On Monday, Ted again gridded 14th but this time kept his car on the track and was able to finish in 13th place after briefly moving up to tenth position on a really good start (see photos of Monday's action). 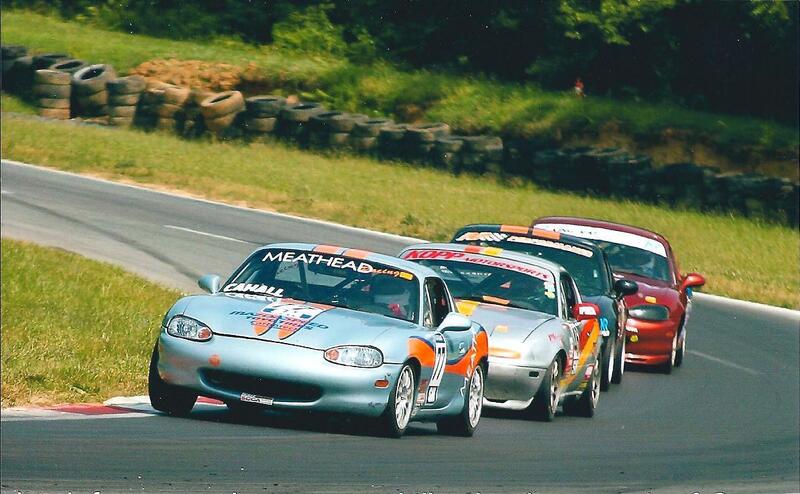 It was a great weekend for Meathead Racing! Mike "Meathead" Collins won all three races. Tim Jacobs set the lap record on Sunday and then again on Monday with a 1:26.1 - shattering the previous record by more than a second! Greg Obadia also set the SSM track record on Monday with a 1:27.7. Click on photo below to see full size.